If you are and/or you know a Formula Atlantic (or F2) car owner (1980 and prior manufacture) please get them to email me here at [email protected] with a statement about their willingness to support a Formula Atlantic Revival at the Rolex Monterey Motorsports Reunion (formerly the Monterey Historics). 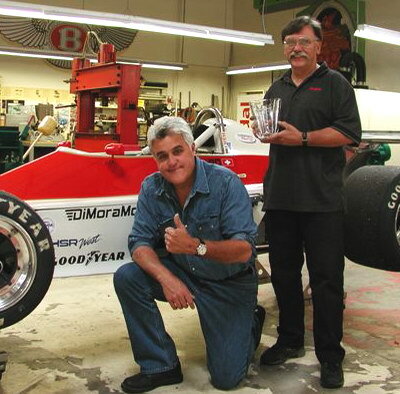 I had the great good fortune to be fed (canoli) and watered (water) at Jay Leno's Big Dog Garage last Thursday (thank you Jay, Bob and Bernard). While there, I discovered that Bernard Juchli, BDG GM was a big FA fan and racer (1976 Chevron FA). Multiple converstaions led us to "why doesn't the Monterey Historics featured the Formula Atlantic marque during its August Rolex Monterey Motorsports Reunion event?". The history of Formula Atlantic is rich with an abundance of cars still campaigned at vintage races around the world. Gilles Villeneuve and Keke Rosberg at Edmonton International Speedway Formula Atlantic race, 1977. The history of Formula Atlantic begins with the SCCA Formula B class, created in 1965 for single-seat formula cars with engines not exceeding 1600cc in capacity. Prior to Formula Atlantic, professional Formula B races were held in the United States from 1965 to 1972, firstly with the SCCA's poorly-supported Formula A, then as part of the SCCA Formula Continental Championship in 1968 (when they were largely overshadowed by the V8-powered Formula 5000 cars) and then as an independent series from 1969 to 1972. Formula Atlantic as a class evolved in the United Kingdom in 1971 from the US Formula B rules, with 1600cc production-based twin-cam engines (initially Lotus-Ford twin-cams but then Cosworth BDA and BDD, however other engines like Alfa Romeo were also eligible). Conceived by John Webb of Brands Hatch (who would later also develop the Sports 2000 class) as a category for national competitors with the performance near a Formula Two car but running costs at or below that of a contemporary Formula Three car. A single (Yellow Pages championship ran in 1971-2, with a rival BP backed series appearing in 1973. 1974 saw the BP series changing sponsor to John Player, and the Yellow Pages series becoming backed by John Webb's MCD organisation and Southern Organs; in practice most top drivers competed in both series and there were no date clashes. 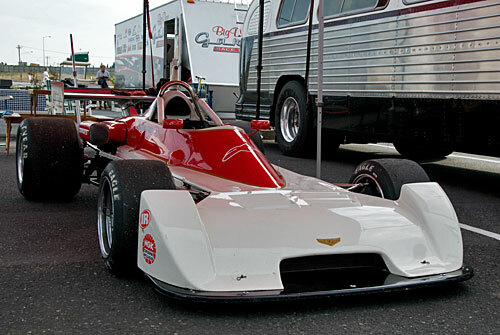 Only one series ran in 1975-6, in the final year taking the title 'Indylantic and adopting Indianapolis-style single-car qualifying. But the formula was under threat from Formula 3 and no series ran in 1977-78. The series returned in 1979 with backing (for one season only) from Hitachi and continued to 1983, with diminishing grids and few new cars appearing. As a result of its similarity to Formula 2 and Formula 3 in terms of chassis regulations, Formula Atlantic typically used chassis closely related to these cars—with performance somewhere in between the two—so most of the manufacturers were familiar from those classes, particularly the likes of Brabham, Lotus, March, Chevron early on, with Ralt and then Reynard later. US manufacturer Swift came to displace the British imports and dominate in North America. Several smaller marques also appeared. The first professional races run under Formula Atlantic rules in North America were conducted in 1974 by the CASC in Canada (now ASN Canada), drawing much attention and large fields due to its national CTV television coverage. IMSA in the United States took advantage of the large number of teams and organized their own series in 1976. During these years, the series attracted guest drivers from Europe, including Formula One, particularly at the Trois-Rivières street race in Quebec, Canada. Guest drivers included James Hunt, Jean-Pierre Jarier, Riccardo Patrese, Patrick Depailler, Jacques Laffite, Didier Pironi and Vittorio Brambilla. In 1977, the SCCA sanctioned the US events and in 1978 the CASC and SCCA series merged, and conducted the series jointly until 1983, when it ran as the Formula Mondial North American Cup ans was won by Michael Andretti. The series could not sustain the success of earlier seasons and was cancelled for 1984. Formula Mondial was an international category introduced by the FIA in 1983 with the intention of replacing both Formula Atlantic and Formula Pacific, the latter being a variant of Formula Atlantic that had been introduced in a number of Pacific Basin countries in the late 1970s. some of the best racing!! I like the idea and will check with my old friends.